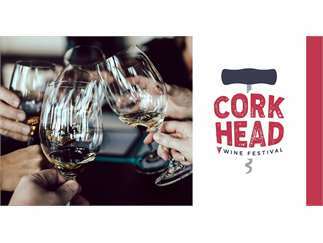 On Saturday, February 16th, 2019 Step Out Buffalo presents a fun and approachable wine tasting experience - Cork Head Wine Festival. The world of wine can be an intimidating place - but not at this fest. We love wine and we love learning. We’re passionate about trying new things and finding hidden gems - which is what this festival is all about. Whether you drink wine with every meal and travel the world trying new varietals and styles, or you enjoy the occasional wine tour and don’t even know what a varietal is, we’ve got a glass for you. We’ve called on super knowledgeable, local wine experts from across WNY to pull together a curated collection of 50+ wines from around the world to ensure you’ll have a quality tasting experience. All you need to know is - we got you. Participating wineries will be announced soon - stay tuned! But like, fun ones with wine drinking involved. You know those super knowledgeable local experts from WNY’s best wine shops and bars we mentioned above? They’ll be in the house along with winery brand reps who know their stuff. Throughout Cork Head’s seminar schedule you’ll get to have a drink with experts who will teach you a thing or two - from practical tips to fascinating wine facts you never knew you wanted to know. The guests at your next party will thank you. Who doesn’t love a pairing bar? At Cork Head you’ll get to visit this wine & food pairing station for an expertly paired wine and h'ordeuvre tasting included with admission.